Since 2003, I have been a Course Director/Professor at the School of Human Resource Management at York University. In 2014 I received a Teaching Excellence Award within the School of Administrative Studies. In 2015 I was selected as a finalist within the School of Human Resource Management. Both awards are determined by student selection. I have held positions and worked with various private/public corporations and the non-profit sector in leadership and organization development where the focus has been on cultural transformation and organizational effectiveness. In 2013 I was responsible for HR operations during the Calgary floods for the Canadian Red Cross where I am also a Disaster Management Certified Instructor. Co-developed the CKE 2 multimedia web-based exam preparation sessions for the Certified Human Resources Leader designation. Delivering Disaster Management Large Scale Response sessions for the Canadian Red Cross currently for the response to the fires in Alberta Canada. Shah has been working in the HR field for over 15 years, in multiple roles across a variety of industries. His HR career started off working within the recruitment industry that specialized in recruiting senior-level medical doctors and nurses across North America. He then moved onto to the post-secondary education sector where he spent years as a Manager for York University and other leadership roles. From an educational perspective, Shah holds a Bachelors of Human Resources Management degree from York University and a Masters in Human Resources Management degree, also from York University. He’s a Certified Human Resources Professional (CHRP) and absolutely loves working in the HR field! His interests include: Talent Management, Strategic Planning, Leadership & Management Skills and forecasting industry trends. A Principal at Blake Training & Consulting Inc., Anna is a Senior Occupational Health, Safety and Wellness professional who demonstrates a mature leadership approach towards ‘best practice’ occupational health and safety objectives, occupational and non-occupational claims management and overall Wellness programs. She is a strong advocate for programs that benefit employees while being supportive of corporate visions and values. Her consultancy has serviced a variety of businesses, with extensive experience in tier-1 automotive, pharmaceutical and aerospace sectors. Anna has Bachelor of Applied Science - Department of Environment Health (Occupational Health & Safety Option) at Ryerson University, and a Masters of Public Health (Occupational Health & Safety Management) at Tulane University. She developed the SHRM’s current Occupational Health & Safety in-class & on-line course materials, and has taught the course since 2001. She has been nominated twice for the Teaching Excellence Award – School of HRM in the Sessional/Contract category, and was a finalist in 2012-2013. For those curious about the alphabet behind her name, in addition to her degree designations, Anna is a Registered Nurse (Ontario), a Canadian Registered Safety Professional, and a Certified Occupational Health Nurse (Canada). She is also a member of the Canadian Nurses Association, American Association of Occupational Health Nurses, and the Ontario Occupational Health Nurses Association. 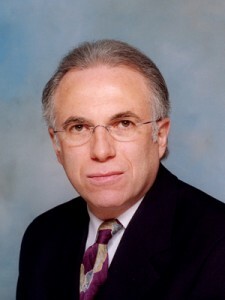 Gary is President and CEO of Blake Training & Consulting Inc. He has many years of managerial and consulting experience in manufacturing, logistics, retail & wholesale, and head office environments. Gary has held positions such as Lean Six Sigma Champion, Director of Organizational Development, Manager Corporate Training, Production Manager, and Director of Corporate Engineering. He is a Six Sigma black belt, successfully implementing Lean Six Sigma projects in office and manufacturing settings. With 26 years of Organizational Development experience as a change manager, Gary is action-oriented to deliver results. His comfortable facilitation style is uniquely successful at motivating front line workers to achieve both personal and organizational goals. 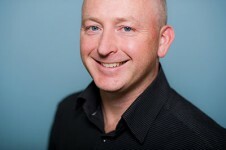 With a Bachelor of Engineering degree from McGill University and a Master of Business Administration degree from York University, Gary is a sessional course director who has taught various third year Human Resource Management topics in the HRM program at York University since 2003, with his main focus being Occupational Health & Safety. He was the winner of the 2013-2014 Teaching Excellence Award – School of HRM in the Sessional/Contract category. He is a past Vice Chair and Chair of Governance Committee of the Board of Directors of the Ontario Service Safety Alliance – a safe workplace association funded by the Ontario WSIB, and a Panelist in a Foundation administering training program applications for Provincial and/or Federal funding to match company funds supporting innovation and globally competitive manufacturing excellence in Ontario. In his personal time, Gary is a part-time Church organist & choir director, and pretends to believe that he is still a great beer league hockey goalie. Anita completed her undergraduate degree (BA Honors) from the State University of New York at Buffalo (USA), with a major in Communication and a minor in International Business. Anita continued her studies at the University of Vaasa, in Finland where she completed two Masters Degrees and went on an exchange semester at Stockholm University in Sweden. Her first Masters degree (MSc) was in International Business while her second (MA) was in Intercultural Studies in Communication and Administration. Anita studied Swedish media and film during her exchange semester in Sweden at Stockholm University. Anita’s interest in Communication and International Business Management serves as a strong foundation for her PhD studies in Human Resource Management, where she researches human interactions and communication at the work place. The multi-disciplinary focus of York’s PhD program allows Anita to bring interdisciplinary theories and research methods into her research. Her research interests include topics such as organizational learning, knowledge transfers/sharing, learning from errors/failures, innovation and creativity. Althea Gordon's academic background includes a BSc (Hon) in Management Studies at the University of the West Indies (Mona) and a Masters in Human Resources Management (MHRM) from York University. Althea has several years of professional Human Resources experience in various strategic roles in the public sector and large scale multinational organizations. Sadita Graham is a Certified Human Resource Professional whose academic background includes a BSc (Hon) in Psychology & Sociology from the University of the West Indies, Mona, and a Masters in Human Resources Management (MHRM) from York University’s School of Human Resource Management, wherein she was awarded the Top Master’s Research Paper Award for her research on Secure Attachment and Trust in Formal Mentoring Programs and its effects on Mentoring Outcomes (2011-2012). 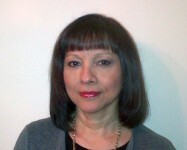 Sadita has over ten years of business management and HR experience. Her areas of expertise include change management, career coaching, talent management, and organizational behaviour and effectiveness. She endeavours to bring a practical approach to learning in the classroom, bridging the gap between theory and real-world experience, thereby enhancing students’ practical exposure and enriching student learning outcomes. Dennis has consulted to Human Resources Executives of major corporations regarding human resources management issues for the past 18 years, and has over 20 years of teaching experience at the college and university level. He holds a Master of Laws Degree - LL.M. from Osgoode Hall law school, a Bachelor of Commerce degree - B.Com. in finance and economics, with emphasis in Human Resources Management, from the University of Toronto, and a Certificate in Alternative Dispute Resolution from Atkinson College – York University. His areas of specialization include addressing employment related conflict, Human Resources Management, Compensation, Recruitment and Selection, Training and Development and Employment Legislation as it applies to recruitment and termination related matters. The courses he teaches require a considerable amount of time and effort; however, conscientious students have indicated that the reward is worth the effort, since everything you learn will impact upon you at some point in your career. Leigh Lampert serves as Vice-President Strategic Objectives and Associate General Counsel to Sears Canada, a large Canadian retailer. 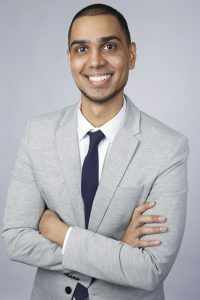 He also serves as an Adjunct Professor of Law at Ryerson University and an Adjunct Professor of International Business and Human Resources at York University. In addition, he serves as a Vice Chair of the Workplace Safety and Insurance Appeals Tribunal and is a Member of the Discipline Committee of Professional Engineers Ontario. Previously, he served as an associate lawyer with a Toronto law firm, practising immigration law and citizenship law. He has also worked as Special Advisor to the Minister of Justice and Attorney General of Canada. He has held similar positions with the Minister of Citizenship and Immigration and the Minister of National Defence. He has also worked for the federal Minister of Labour and the Deputy Prime Minister of Canada. Leigh is a member of the Law Society of Upper Canada and has been associated with the Canadian Bar Association, the American Bar Association, the American Immigration Lawyers Association, and the Ontario Bar Association. He also serves on and/or participates in various volunteer boards and other community initiatives. Leigh received his LL.B. and M.B.A. from Dalhousie University and a Bachelor of Social Sciences from the University of Ottawa. He lives in the Toronto area with his wife and their young children. With over 20 years of human resource management experience in industries ranging from financial services to education, Vita Lobo brings a wealth of knowledge to the classroom. Vita has dealt with a rich variety of HR issues including recruitment, training, personnel management, affirmative action policies, codes of conduct, and Collective Agreements. 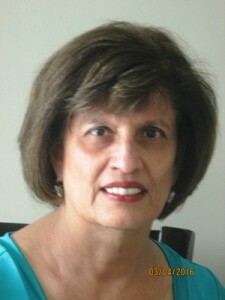 Vita earned her Master’s Degree in Human Resources Management from York University in 2010. Vita has taught courses including Human Resource Management, Industrial Relations, Compensation, Organizational Behavior, Management and Introductory Business. She has served as instructor for the School of Human Resource Management, and the School of Administrative Studies at York University, as well as for the Human Resource Professional Association. Vita has a passion for teaching and she enjoys the diversity of students at York. Her goal is to help students understand and to think critically about real world business issues and challenges. Vita’s teaching style is interactive and is intended to make the classroom a place where students feel that they are an integral part of the learning experience. By bringing her many years of professional experience to the classroom, she can assist students in successfully making the connections between academic theory and real world practices. 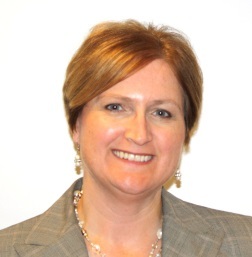 Linda Love is Senior Director, Human Resources at The Insurance Institute of Canada. Her career includes 20 years of Human Resources experience in various industries including insurance (P&C and Life), pharmaceutical, service, health care and not-for-profit. Linda's extensive background in Human Resources includes experience in Workplace Branding, Mergers and Acquisition, Change Management, Compensation and Benefits, Talent Management, Succession Planning, Leadership Development and the development of corporate HR strategies. Love, L. F., & Singh, P. (2011). Workplace Branding: Leveraging Human Resources Management Practices for Competitive Advantage Through "Best Employer" Surveys, Journal of Business and Psychology, 26, (2), 175-181. CCH - National Webinar - Employer Branding for Tomorrow's Workplace - June 11, 2009. 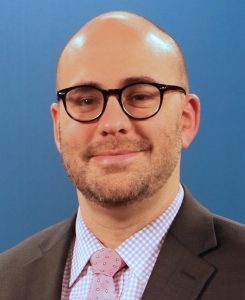 Michael’s research focuses on power and organizations, particularly regarding governmentality, neoliberalism, ethics, and corporate social responsibility. 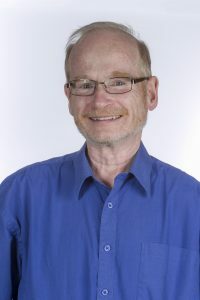 He pursued his graduate studies at Queen's University, the Rotman School of Management, and the University of Toronto, where he received his Ph.D.
Michael also teaches at Seneca College, and has taught at the University of Toronto. In addition to his academic experience, he worked for over 15 years as a human resources and organizational development executive in the technology, automotive, supply chain management, and health and beauty industries. Along the way he trained in alternative dispute resolution, crisis counselling, equity and diversity, and obtained the Certified Human Resources Professional and Certified Personnel Consultant designations. Michael's writing has been published in North America and Europe. He is currently working on a book based on his award-winning dissertation, entitled: To read, write, and cast accounts: Foucault, Governmentality and Education. 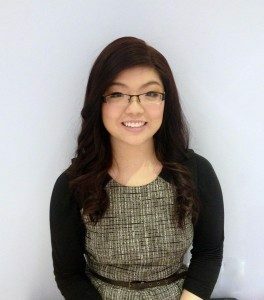 Ms. Ping Peng holds a Masters Degree in Human Resources Management from York University. 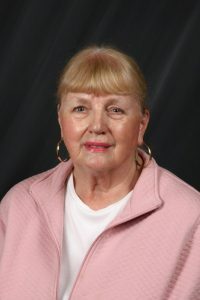 Ping has been a Part-time faculty member with the School of Human Resources Management since 2008. Ping has extensive Human Resources and Financial Management experience, particularly in the non-profit sector. In addition to teaching, Ping currently works in an administrative unit at York University, primarily responsible for the Human Resource management and Employee Relations of the Division. 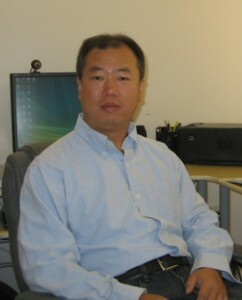 Prior to coming to York, Ping had held such positions as Director, Business Operations and Human Resources Management, and Director, Finance and Administration. Ping's areas of interest include: Human Resources Management, Compensation, and Recruitment & Selection. 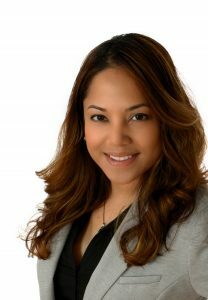 Anna Podesta da Silva is President of Desta Communications Inc. a consulting company that specializes in providing Team Development, Organizational Development, Change Management and Training services to both business and government. Desta Communication Inc. has been in operation providing services throughout North America since 1992. She was also elected Brampton Catholic School Board Trustee for Wards 1,3 & 4 in 2010. Ms. Podesta has lead many large scale business transformation, change management and training projects for companies such as Bell Canada, Bell Mobility, Rogers Communications, Solectron, Bombardier, Scotia Bank, Ministry of Education, and the Ministry of Training, Colleges, and Universities and the United Way, to name a few. Ms. Podesta is also a certified Leadership Coach. She is author of "The Coach Approach" which is a coaching methodology which helps business professional obtain their business and career goals. She is an innovative thinker and creative problem solver who take initiative and motivates individuals into action. Indira Somwaru is a senior human resources professional and educator with a broad range of experience in both business and academic environments. Her business experiences spans a broad range of industries from publishing to real estate at senior levels of responsibility for the HR function. She currently teaches undergraduate and graduate level human resources management and general business courses to York University, University of Toronto and Seneca College students. Indira also provides human resources management consulting services to organizations specializing in the development of training programs. She is currently working on her PhD. in business focusing on the area of employee involvement in unionized organizations. Christopher Sweeney, H.B.A., LL. B., is a graduate of Huron College, University of Western Ontario and Osgoode Hall Law School. 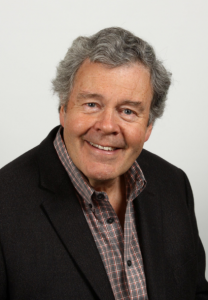 His legal experience includes articling in the area of Civil Litigation at Lawson McGrenere, working in Compliance at Royal Trust and as Contracts Administrator at the Canadian Film Centre, Short Dramatic Film Program. He worked for many years as a Provincial Prosecutor in Toronto, prosecuting and conducting appeals of numerous regulatory statutes. While at the Provincial Prosecutor's office, he was Acting Manager for a period of time, supervising prosecutors and support staff. He is a published author of five graphic novels for the educational market. He is the recipient of a number of awards, funding and recognition for his writing, these include: bravoFACT funding for a short comedy film; being selected as a Finalist in the National Screen Institute Totally TV program; and COGECO development funding for a comedy web-series. None of his comedy scripts are inspired by any of his HRM students' exam answers – yet. He has been a Sessional Lecturer in Employment Law since September 2010. Much to some people’s surprise, he has more than once been an Undergraduate Teaching Excellence Award Nominee, York University, School of HRM. In each case, sanity was regained and someone else won. He also is a Part Time Lecturer in Seneca College’s Paralegal Program. It is a source of continuing disappointment that he has not received a chili pepper for 'hotness' on the Rate My Professor website. 1) The interpretation of human rights codes and the impact of rights commission decisions in the workplace and society at large. Are their decisions fair and equitable; are they consistent from case to case; do they provide a reasonable expectation as to potential outcomes, as required under the rule of law? 2) Comparisons of diversity management in the public and private sector; impact of the implementation of public policy in both sectors; impact of accountability requirements and privacy legislation on diversity management. My goal in teaching is to draw students deeply into the subject matter and to encourage student participation so that they understand that they are an integral part of the teaching/learning experience. Lisa Violo is an Independent Learning Consultant and Coach. Lisa’s consulting work focuses mainly on designing and facilitating training & development initiatives and launching and administering LMS software. Her coaching practice focuses on implementing experiential education, public speaking, career and business coaching. Prior to becoming a consultant, Lisa's professional career included various marketing and sales roles within large organizations including McMaster University, PepsiCo and Research in Motion (now BlackBerry). Lisa has been teaching at York University in Human Resources and Marketing since 2008 and she is also a faculty member of York’s School of Continuing Studies. In 2014, Lisa was awarded the Dean’s Award for Excellence in Teaching in the contract faculty category for her excellent rapport with students and her extensive use of experiential learning in the classroom. 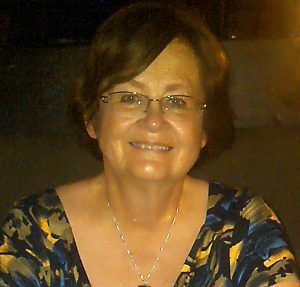 On a personal front, Lisa loves the outdoors and resides in the countryside of Kilbride with her husband and daughter. Lisa is also passionate about basketball and she plays multiple times a week. Lisa greatly enjoys mentoring students and she stays in touch with many former students, including those from her first year teaching. Dr. Gordon Wang graduated from a doctoral program in Management of OB&HR at McMaster University's DeGroote School of Business in 2011. His research interests include executive compensation, leader selection and development, organizational effectiveness, employment assessments, and employee well-being. Dr. Wang also had more than ten years of professional HR experience in many different roles, such as HR planning, compensation design, performance management, occupational health and safety management, and employment assessment. Velda has more than 18 years’ experience in the field of talent, leadership and workplace learning. She holds a Master of Human Resources from York University, Bachelor of Education in Adult Education from Brock University and has a certificate in Developing Leadership Capacity from Queens University. Velda is also a Certified Emotional Intelligence Coach, Certified Speed of Trust Facilitator, a Certified Performance Coach and Certified 360 Voices Coach. Velda believes that through effective relationships, leaders empower and develop others to become leaders in their own right. Keys to successful leadership include: leading change, facilitating growth in organizations as well as team members and establishing trust to help others achieve their full potential while maximizing organizational performance. Velda is always looking for opportunities to synergize academia and HR business practices. Velda and her team evolve the practice and profession of leadership and learning both inside and outside of the WSIB. They are the recipients of the Institute of Performance and Learning’s WOW Award for Training Excellence, the Award for Training Excellence for a Blended Learning Program and most recently WSIBs Experienced Manager Program has won an Award of Excellence. Velda has published an article in the 2016 Fall Issue of the HREdge Magazine, a magazine that aims to maintain the bridge between the academic and professional business environments. Velda speaks at external engagements and most recently was a panel speaker at the 2016 HR Summit on the topic of Key Components of Effective Leadership in the Modern World.